Oh no! Where is my phone?! The cold November wind (which is, in fact, the best time to visit Andamans) did not deter us much at the Meenambakkam Airport in Chennai but the flight timings did. At 3 am in the morning searching for my phone frantically with bleary eyes, just when I had to board my flight, my dad hands it over to me with the ‘I assume you have learned your lesson’ look for being ‘careless’. Well, my trip was off to an uneventful start. But trust me when I say the rest of my trip was nothing compared to the beginning. Far away from the maddening fury of the mainland, it is nestled in the midst of serene natural beauty. It is way too difficult to wrap the mind around the fact that this was one of the most feared parts of the nation in pre-independence times. On reaching Port Blair early in the morning, we were whisked away by our driver at the tiny airport exit gate. It turned out that he was more resourceful than any other tour guide we came across during our entire trip! Our hotel – ‘Blue seas hotel’ overlooking Corbyn beach, having the best (and only) vegetarian restaurant made us realise it was the best decision we’d ever made in our travel outings ever. Located in the heart of Port Blair, the Rajiv Gandhi Water Sports Complex offers an array of aqua-sports: banana rides, jet skiing, parasailing, speed boat rides, rowboat paddling, you name it! Surely this ought to be your first pit-stop at the islands. It is well-equipped with cleaning changing rooms, and trained staff to ensure safety. Pro tip: Ferries to Ross Island can be booked here. Either in sharing or in private. At a stone’s throw distance is the sub harbour with small boats that take tourists to other islands. As a reminder of their battles, there it stood. It stood mute and still as it witnessed the tortures meted out to the freedom fighters, who were incarcerated in this jail. This jail first appears as an imposing structure of brick and iron. Even after a few decades, the jail still looks imposing. A trip to the Cellular Jail serves as a grim reminder to all, of the testing times India faced during the 1940s but it is of immense value as an educational source for anyone interested in Indian history. Thrice a week the night light and sound show is hosted for tourists to get a glimpse of the past and its history. With the national anthem played at the end of the show, from jailed freedom fighters forced to drink sewage water or ‘kala pani’ to being whipped every day like caged animals, the amphitheatre and general atmosphere of the place is bound to make you feel sombre. Also, Kargil War Martyrs memorial with a gigantic Battle tanker is also seen here. The gallows are kept open. Beneath each noose, is a small trapdoor. The trapdoor would give way as soon as the noose tightened around the neck of an unfortunate freedom fighter (in the olden days). He would then hang painfully to death. His body would then be released into the pit under the trapdoor. The pit was directed towards the sea by a canal passage. The path along the cold, dark, damp passageway was a Martyr’s final journey before his body got washed away by the sea. Starting early from the port near Rajiv Gandhi Sports complex, the water vehicle we got onto was heading for a round trip to Ross island and North Bay. Later we learned, every day, every boat heads to different islands of the 572 islands around Port Blair EVERY SINGLE TIME! The 40-minute ride to North Bay was wonderful. On reaching the island, we realised the place had so much to offer. Added to it, is the fascinating ecosystem that exists on the island – the spectacular coral reefs, the biggest crabs, the largest turtles, the most vibrant fish and the most beautiful butterflies can all be witnessed during your journey. From scuba diving, an array of high-speed water rides to dolphin boat, seawalk (with bubble helmets! ), glass submarines, you will find everything here. The best you can go for is scuba diving. Scuba Diving in Andaman offers a unique and unmatched experience to discover the beauty of the exotic marine life at really close quarters. Pro Tip: Keep fit to try water sports with your medicals checked to not feel troubled. With the entire stretch of the shore lined with delicious seafood for lunch and dinner, tourists are spoilt for choice when it comes to non-veg food. At the end of the 2-hour ride from North Bay, the old ruins of a church came into view in the far distance. The Island had everything during the 1800s and even now we can see a bazaar, bakery, stores, water treatment plant, church, tennis court, printing press, secretariat, hospital, and cemetery. Only once we hopped onto the island to get a better view of the same did it hit us as to how big the original structures would’ve been. 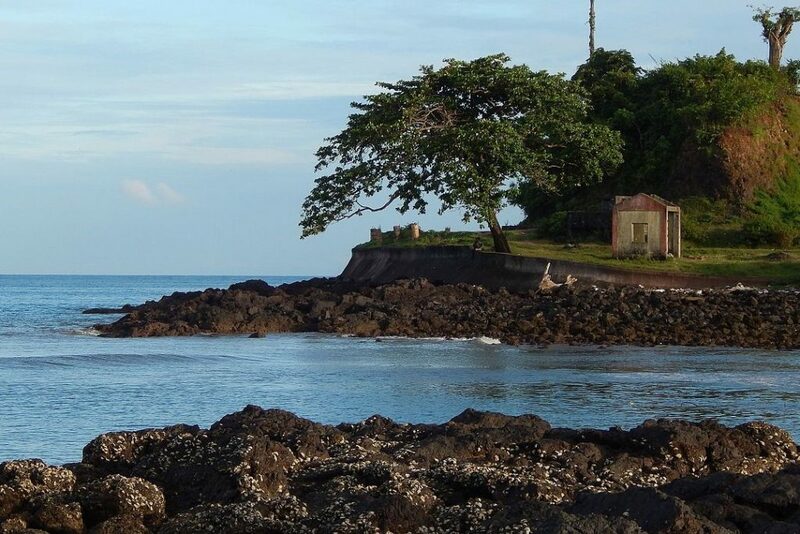 Added to it, it becomes clear why even now Ross Island is famous for its japanese BUNKERS – it has so many of those well preserved after the two World Wars. The bakery at Ross Island turns into a giant screen and history is re-lived. It feels nostalgic as the history unfolds right in front of us. This sound and light show at Ross Island Andaman give you a glimpse of the glorious past and the great sacrifice done by our freedom fighters. The voice of Gulzar sahib and others keep you entertained throughout the 45 min show. All of Nicobar is off-limits, both to Indian nationals and foreigners. The permit is exceptionally difficult to get unless you have a sponsor in the Govt/Police/Armed forces, and that too with a valid reason. This is re-emphasized by the fact that only a few islands are open to tourists amongst the 500 odd islands present around Andaman and Nicobar. Being completely away from these places doesn’t help us in getting an idea of the security seriousness. But a ride to Baratang will do the trick for sure. Not easily accessible to many travellers and many people of the Andaman Islands, Baratang once used to be one of most feared destination. Occasional attacks by the native Jarawa Tribes were common who did not permit anybody to ponder around the place. The Jarawa Tribe Reserve stands to protect the Jarawa Tribes members. Huge efforts were made by the Government to extend help to the native tribes and make them feel accepted and trusted. 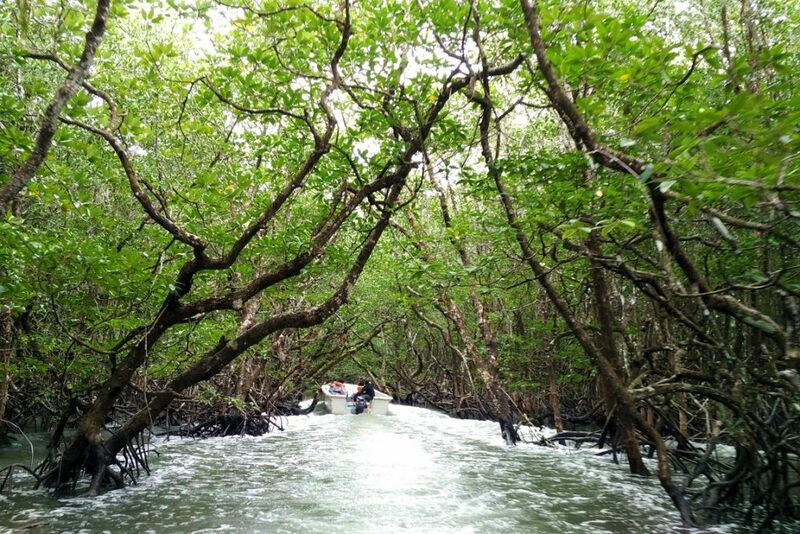 Dense mangrove forest, Tribes, Dongi rides, beaches, birds, caves and trekking- well, Baratang has all of these to offer – tread carefully but also have fun!! Limestone caves can be explored with the permission of Forest Department at Baratang and proper local guidance. And that is what we did – took permission and explored the dark white walls of the caves. No plastic. No litter. No large crowds. The nearly 1 km strenuous journey is worthwhile after a fascinating walk where you witness everything from beautiful animal carvings to structures of Hindu idols of worship on the limestone walls. Pro tip: Keep 3 hours at least to walk through the place and get the best experience. With sublime silken beaches, twinkling teal shallows and some of the best water sports in South Asia, Havelock has the well-deserved reputation of being a traveller’s paradise. For many, this is what lures most tourists across the Bay of Bengal, Havelock is the Andamans, and many are content to stay here for the entirety of their trip. This is truly no exaggeration. A ship cruise through the island waters will leave you mesmerized. Imagination is just a word until you experience it in the best way possible. 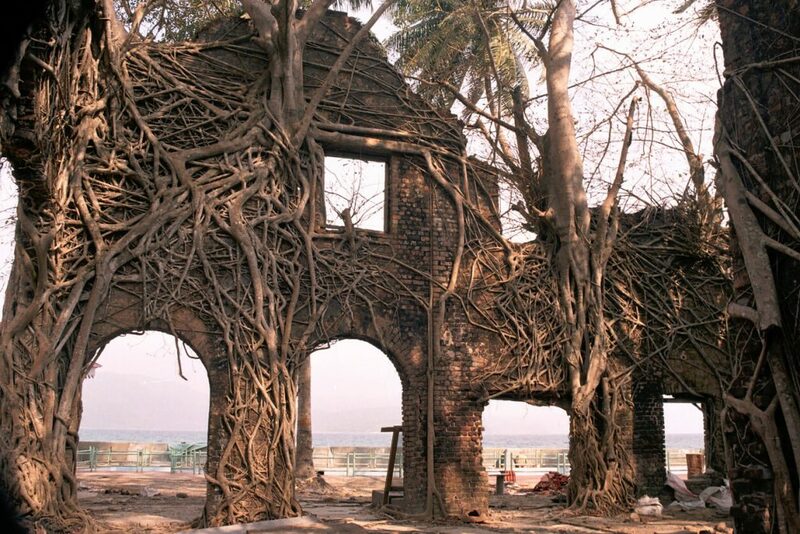 With Havelock and every part of Andaman here, you’ll fall in love with yourself everything around you. 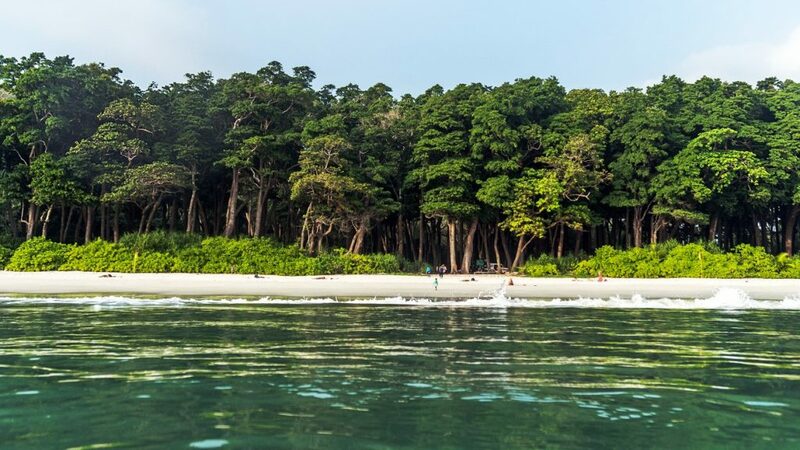 Stunning view of Radhanagar Beach on Havelock Island. Before heading back to the airport, a final part of the trip was left untouched. The daylight tour of cellular jail. So before heading back home, we dropped by one final time at Kalapani. What we didn’t know before, we saw this time. It is basically a massive 3 storeyed structure with 7 wings of unequal lengths, that is shaped like spokes of a wheel, radiating from a central watchtower. 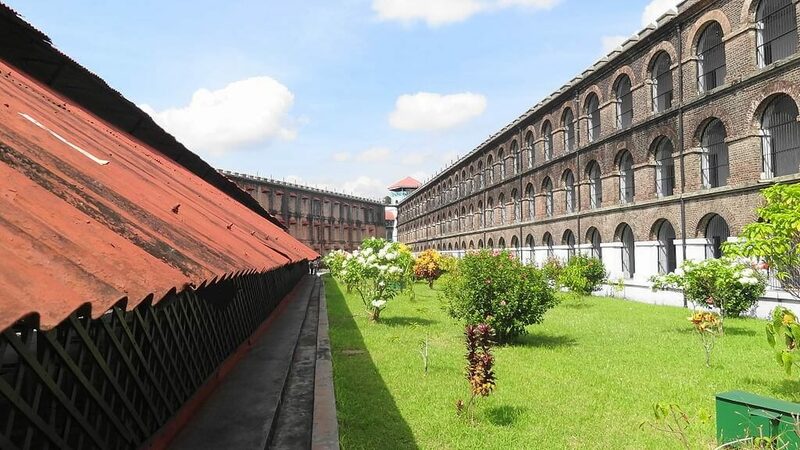 The design of Cellular Jail was based on the ‘Pennsylvania System or Separate System’ theory in which separate confinement is necessary for each inmate to be in complete isolation from other inmates. Honestly, the concept is brilliant, even now it could be used, but the horrible truth is that what it contains would make any criminal humane. In all restaurants of Andaman, they serve rice, as well as a combination of Indian curries. Sea fish curry, chicken curry, veg curry, are available in Andaman restaurants. These are the most preferred combinational curries with Rice, Roti and Naan. The Amritsari Kulcha is a mouth watering dish from Andaman. 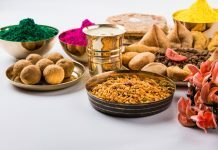 It is stuffed with many of the tasty items like onion, coriander leaves, spices, etc. making it a very tasty and delicious dish as a must have food! Macher Jhol is a mouth watering dish form Andaman. This dish is basically originated from the State of West Bengal. This dish consists of various items like fish, chillies, coriander seeds, turmeric powder and some other ingredients too. Long fabled among travellers for its gorgeous beaches, underwater wonders and primaeval location in the middle of nowhere, the Havelock Islands are still the ideal place to get away from it all. The archipelago has around 572 islands, of which only 36 are open to tourists. The island population has an interesting mix of south Indians living in harmony with Southeast Asian settlers, as well as Negrito ethnic groups on some islands whose arrival here is still baffling. I’m lucky I got to see it all! To be more specific, a visit to a place like Port Blair, better known Laouk is worth it; put in a few days of your life in seeing the place, and you shall not regret. Innumerable places to bond with nature, this suburban has it all. Set amidst the lush greenery in a pristine atmosphere are the islands. Psithurism. Dreamers with wild imagination would know the meaning of this because all they care about is the sound of wind through the trees. You follow the maps that your heart tells you to follow. This is what the islands made me feel. The freakin’ neat sandy shores with locals playing volleyball and the amazingly lit up beach street in the evenings in Port Blair – everything will always be a part of me. You could make it yours too.